I was beyond thrilled when I realized that Paperless Post offers actual Friendsgiving invitations. I decided to take it a step further and order the paper version - I am a huge proponent of sending real invitations whenever possible. 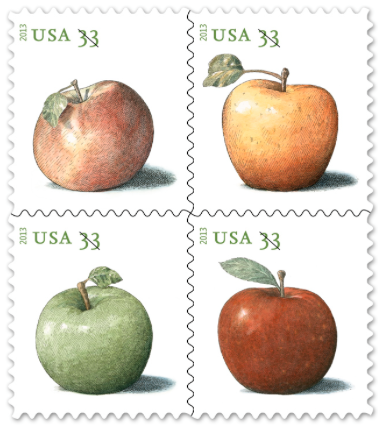 And Paperless Post makes it so easy and fun - they offer all of the customization choices in print that they do online, including different colors and even a choice of envelope liners. (How adorable are these grandma chic liners?! I'm in love). 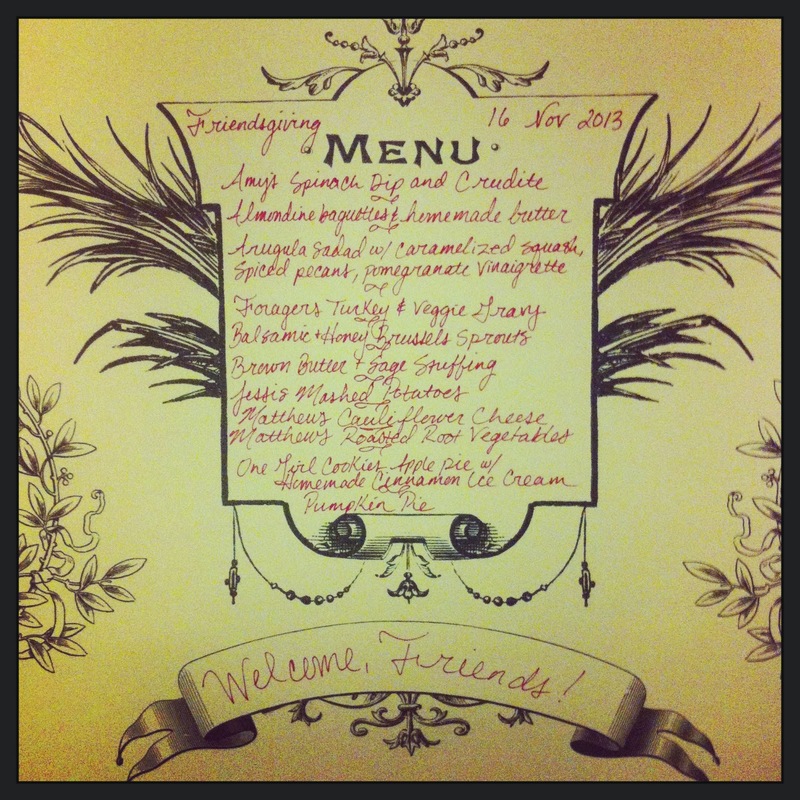 And you can order quantities as few as 10, which was perfect for our 8 person dinner party. I chose seasonally inspired postage with these apple stamps. 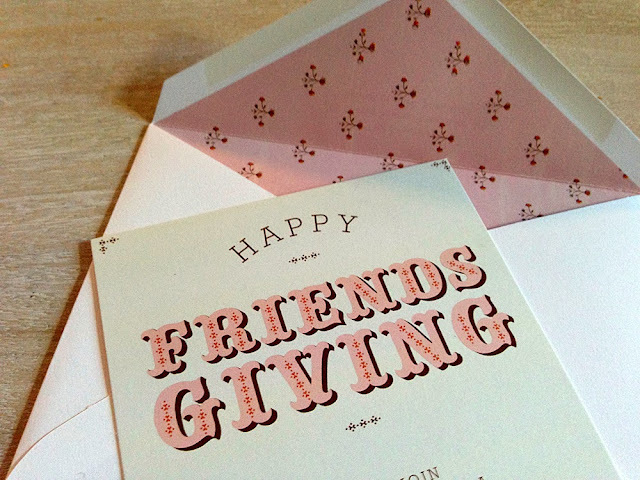 This design is only offered in 33 cent increments, so I doubled up and put two on each envelope. 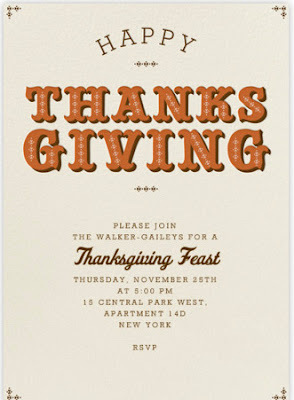 Our Friendsgiving invitation style is also offered online or in print for Thanksgiving, as pictured below. 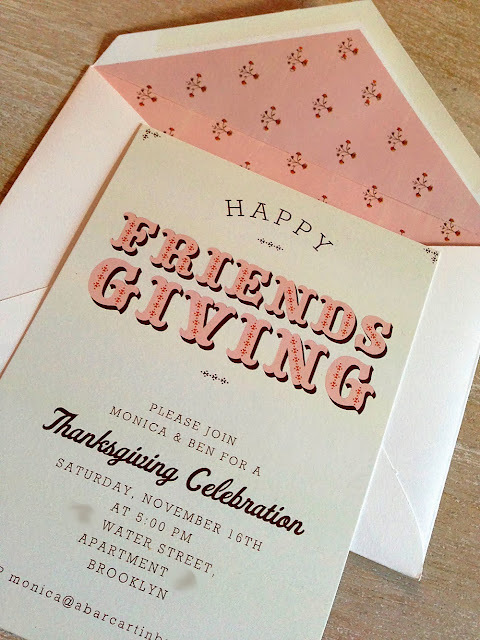 For the place cards, I chose letterpressed calligraphy cards with envelopes from Paper Source. 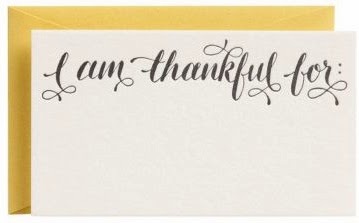 During dinner, each guest jotted down what they were thankful for and sealed up their envelopes. At the end of dinner we swapped envelopes and everyone read someone else's card out loud. A little corniness never hurt anyone, right? 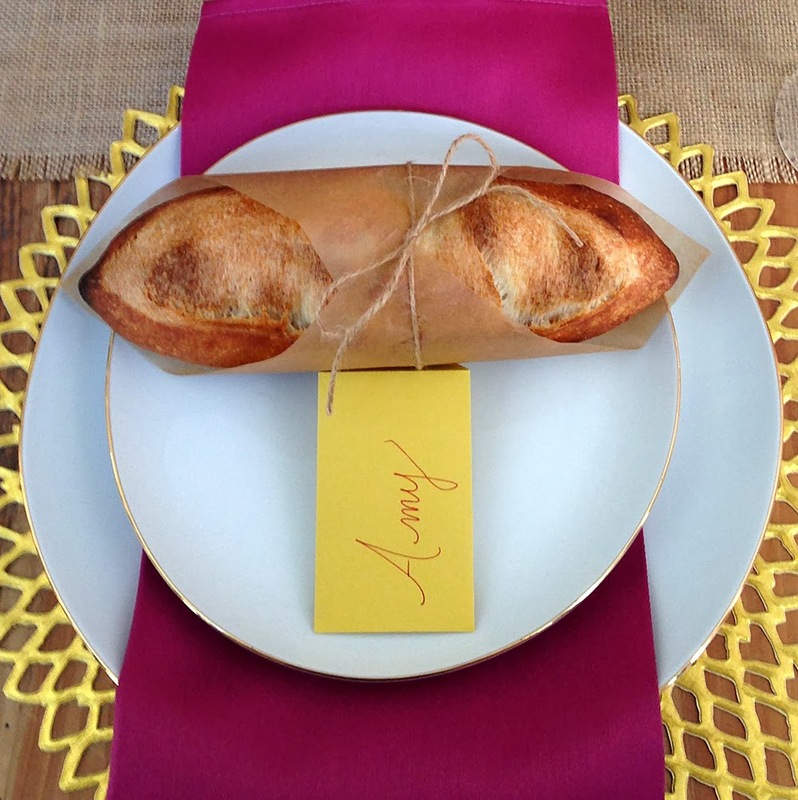 I didn't print individual menus, because I felt that the place settings already had enough going on visually between the napkins, baguettes and place cards. 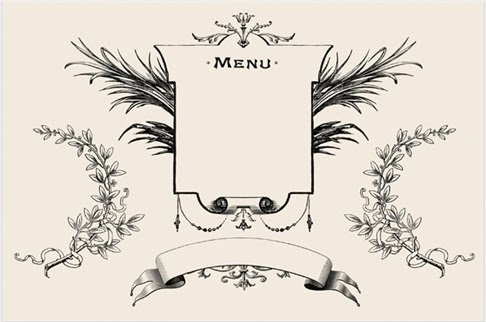 So instead I wrote out the menu on one of these Bon Appétit paper place mats by Cake Vintage. 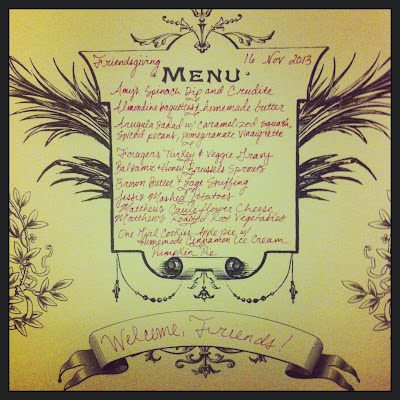 Somehow I forgot to get a photo of the menu, but here it is from one of my friend's Instagram accounts. I made sure to note which dishes were made by guests, so that everyone got credit for their contributions. I used gold washi tape to post the menu above my bar cart - which we'll get to tomorrow along with the signature sparkling Friendsgiving cocktail!